For years, Maia Szalavitz has been making insightful, practical, and evidence-based contributions to the struggle against “the War on Drugs” and the harmful policies that emerge from it. 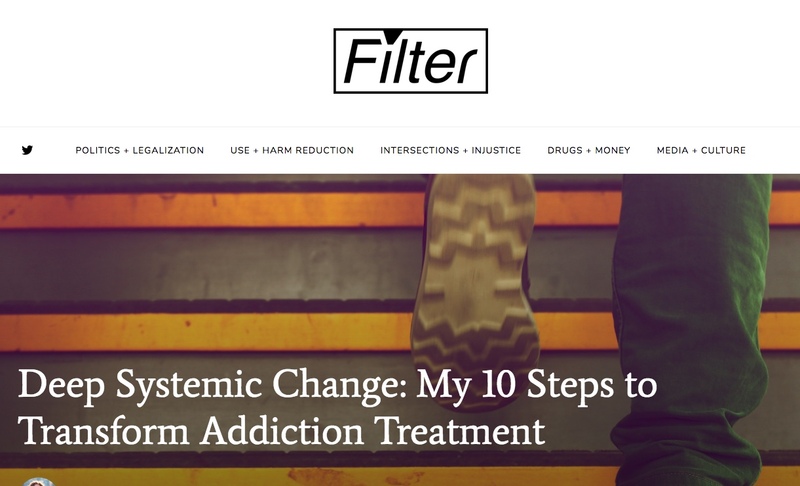 With her permission, and the permission of editor Will Godfrey, I’m posting passages from an article she published in Filter, a magazine covering drug use, drug policy and human rights, on October 8, 2018. This is the most important article on opioid addiction treatment I’ve ever read. The following text is Maia’s writing, though I’ve spliced and diced it and extracted only the key components (in my view). As panel after summit after commission after white paper is put forward claiming to solve the overdose crisis, you’d think that somewhere there’d be a short, sensible guide for how to improve our health care system to better manage addiction and pain. But most of these reports and discussions dance around the edges and bureaucratic obstacles to change. Few address the fact that deep systemic change is needed. 1) Genuinely expand access to medication treatment—yesterday. 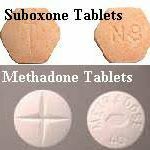 We have two drugs that are proven to cut the death rate from opioid addiction by half or more when used long term: methadone and buprenorphine. Anyone who is addicted to opioids and wants to get even a single dose once should be able to access these medications on demand—in hospitals, doctor’s offices, emergency rooms and syringe exchange programs…. No urines or counseling or abstinence from opioids or other substances should be required to get these drugs, just as those barriers are not imposed on people with other disorders who need medication. The DEA and state prosecutors also need to stop targeting buprenorphine prescribers, regardless of whether they are providing optimum care. Simple access to the medication saves lives: Get out of the way! 2) Stop forced tapering of pain patients and provide real access to proven alternatives. In response to the overdose crisis, in 2016 the Centers for Disease Control released a set of guidelines intended to reduce overuse of opioids in the treatment of chronic pain in primary care… [T]hese were rapidly “weaponized,” as Dr. Stefan Kertesz of the University of Alabama put it in an excellent paper. Basically, the guidelines are now seen as the national standard of care—and stepping outside the maximum recommended dosages is viewed as flirting with medical board or even prosecutorial scrutiny, even for specialists. 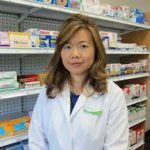 Their recommendations are being applied indiscriminately, with even some cancer and end-of-life patients being denied adequate pain relief. No evidence shows benefit from forced taper; some suggests severe harm. 3) Create a tiered system for addiction medication access. For harm reduction, what’s needed is a welcoming place where people can simply get a dose of medication and see some friendly faces. This…provides rapid access and guidance into care for those who decide they do want additional help…If you are successfully managing any ongoing mental health issues, you don’t need to keep showing up at a clinic. After people have been stabilized, however, they will need the third track, which [avoids] interaction with people who are still actively addicted. If you have a job and family and are successfully managing any ongoing mental health issues, you don’t need to keep showing up at a clinic or get further counseling. This track—sometimes called “medical maintenance”—basically requires a once-a-month check-in to get medication via a primary care doctor and ensure all is well. 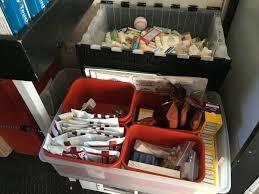 5) Create and fund a full range of harm reduction services. 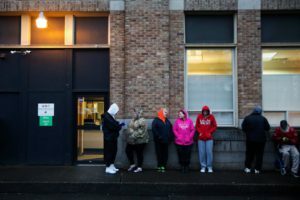 We also need shelters and housing, separate from those aimed at stabilization and abstinence, for people who are actively addicted, many of whom are also mentally ill and have symptoms related to severe trauma. When people have safe places to live and to use drugs, they are both much more likely to survive and much more likely to find ways to sustained recovery. 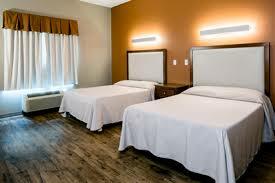 6) Decouple “beds” from treatment. People with addiction have a wide range of individual needs, and institutional “programs” will never be able to meet all of them. Moreover, once a treatment “bed” is labeled as such, it generally becomes more expensive than an ordinary, safe place to stay. “Sober homes” also tend to be based on a 12-step ideology, which is fine for those who find that pathway amenable, but not for those who don’t—and not when that ideology is interpreted to stigmatize and discourage medication use. For most illnesses, medical and psychiatric, people recover better when they can stay in their own home with their friends and family nearby……. The mental health field has recognized that institutionalization is generally harmful and that, when needed, should only be used for the shortest possible time. Addiction treatment needs to catch up. We need a system that provides a menu of individualized options—not residences staffed mainly by non-medical people that charge inpatient hospital care rates. Since possession arrests do not deter drug use, raise drug prices or treat addiction, every cent spent [arresting and jailing people for drug possession] is wasted. But it’s actually more harmful than that. People arrested and jailed for opioid addiction lose their tolerance and are three-to-five times more likely to overdose after release than if they had not been incarcerated. Worse, the primary purpose of criminalization is to stigmatize drug use and people who take drugs—if criminalization is to deter people, it must stigmatize. And that stigma, of course, is a huge barrier to getting people into treatment whether for addiction or for overdose; to making treatment more effective; to expanding harm reduction; and basically to everything we need to do to end the crisis. 10) Make universal health care happen. While having a national health care system in the US once seemed to be a pipe dream, the increasing embrace of “Medicare for all” by Democrats and the fact that majorities now support it in polls means that—providing we survive the current administration—it may soon be possible. Reprinted from an article by Maia Szalavitz, October 8, 2018. Please see the full article, published by Filter. Here is the direct link. You can follow Filter on Facebook or Twitter. Maia’s recent book is available at Amazon and other outlets. I love the point on step 8 ‘Addiction treatment needs to catch up’. I am personally in the UK and although our medical system is very different to the US, the stigma that envelopes opiate addiction is very much the same. I recently tried volunteering at a local drug and alcohol drop in centre as a mentor. At first they seemed very excited to have on board someone who has been clean of heroin and crack cocaine for over 15 years. The woman that interviewed me made it clear that the only “program” they supported was the 12 steps (this did not work for me) Most of the interview consisted of her explaining that addicts will not receive support unless they attend AA or NA meetings, that they have to provide urine samples to prove abstinence if they wish to continue to use the service, missed meetings would also not be tolerated.Mid interview I politely declined the offer of a voluntary role with the service! Should she have discovered that I still battle with opiate addiction ( prescribed opiates) yet I manage my life well, my children are very well cared for and loved and I am a functioning member of society; I don’t believe the offer would have stood. While we have incredible people like Marc Lewis and Maria Szalavitz in this world, I feel that change will happen and that the Addiction treatments will indeed catch up. Jane, thanks for this lens on the UK scene, and for your kind words. What you describe sounds about as bad as it gets — cringe-worthy. It’s also a familiar scenario on this side of the Atlantic. The insanity of requiring people NOT to take drugs if they’re to be treated for addiction is beyond belief. 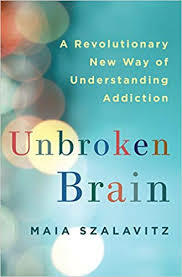 I think Maia’s recipe for a major overhaul covers all the sticking points — as well as making it easier for people to get a life in the first place, so they can work on their addiction at their own rate. Thanks for this, and I empathize with your experience. 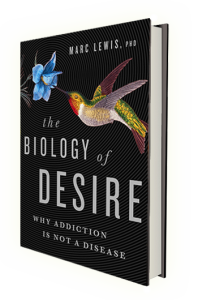 I especially like the way you spell Addiction with a capital A as if designating an entire class of human behaviors, not just the “icky” ones people don’t like to look at…except via a very narrow-minded microscopy of methods. If people learned about this unhelpful habit behavior more generally, it would move us a lot further toward prevention. I successfully argued that an alcoholic dentist could continue to practise subject to monitoring without attending the AA-oriented doctors’ and dentists’ group that they had demanded of her and they changed their long-standing policy. She didn’t like AA and since she was on supervised disulfiram for a while, AA probably wouldn’t have liked her. 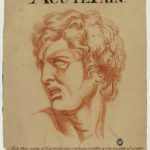 As with Christianity, the founders of AA seem to have been less dogmatic and exclusivist and more tolerant than their disciples. Both addicts and addiction clinicians in the USA often seem surprised that AA ideology is much less pervasive and politically influential on this side of the Atlantic. The same goes for the religious beliefs that underpin much of AA – whatever AA groupies may say to the contrary. Unlike in the USA, an unbelieving or merely agnostic politician could easily be elected to parliament and high office in most western European countries and many have been. Even in Spain, where the Inquisition executed its last victim – a mere deist – in 1826. Well said, Colin. It’s all because England shipped the Puritans to the US. Puritan culture pervades every aspect of white culture in the US, and bolsters racism in my opinion, which has been the driving force behind the drug war. Thank you for your comments. There’s a powerful argument made in Kathleen Dowling Singh’s book, *Unbinding* – which explores the Buddhist concept of Dependent Origination in depth – that the impulse/compulsion to take a human birth for most of us, is the result of a conditioned addiction to ignorance and suffering. I hate the fact that might actually be the case. I think it’s true. But hating that fact just leads to further suffering. If we could just accept it all and realize it’s the motive not the method, we could reveal much more compassionate, comprehensive and effective modes of healing. Absolutely. Can you imagine if smokers or obese people were forced to go to rehab or denied medication or treatment for lung cancer unless they quit eating/smoking? Wow. Ok. I’ve been a longtime follower and also probably one of the first Guest Memoirists. Long time admirer and believer in Marc. His work gave me hope when I had none. He had a voice when there was no reason. And I am sill a great champion. However, as the mother of an addict… I am tired. Deservedly so. And I admire all of you who continue with passion and belief. It is very very important. I did have a big lift the other day.. and it came in the form of entertainment. My husband and I went to see A Star Is Born. It has energy, passion, hope, charisma… and also the truth. Hard truth. Which from those who love addicts… is all we want. I call my son a Hobo now. He lives free. And so do I. Love always. Thank you, Marc. Nothing is in vain. Hi Janet. It sounds like your son and you have stabilized into a holding pattern. Your policy of loving without active involvement is the best you can possibly do — I admire you for having the strength to find that balance and keep to it. Shame builds up layer upon layer when people continue in addiction (and all that goes with it — including life on the street) for years, especially if they come from “good” homes. Then the disappointment they’ve authored never vanishes. If anything it just goes underground, so that they wake up with this amorphous sense of badness day after day. So…you’ve made the best of things. And without trying to whip up your hopes, I want to remind you that I’ve talked with many people who just suddenly quit — some around age 30 (like me), others later in life. I’m very good friends with a man who quit a heavy heroin habit one day, age roughly 45, and never looked back. He now has a high-profile job acquiring funding for addiction prevention/treatment programs, and he serves on various committees involved in drug policy reform. As Maia Szalavitz argues, our society has to make life less stressful, contemptuous, discriminating, and oppressive for people who use drugs, to give them half a chance to gather their personal resources and make the moves they want to or have to make. Addiction is no picnic, and addicts know this better than anyone. Quitting is, I’d say, a “natural” response to addiction when people have room to breathe and time to grow. Thank you, Marc. This is such a safe place to land and the things you write are always helpful to hear. The life of an addict is powerfully difficult and complex, as you say. And there are so many issues involved. Thank you to everyone who lives and serves and works and survives in this world. I admire you all. Beautifully written, Marc. I really identify with this statement: “Then the disappointment they’ve authored never vanishes. If anything it just goes underground, so that they wake up with this amorphous sense of badness day after day.” I’ve noticed, making the rounds of so many circles and fellowships that I’ve forgotten all their names, that for many who come from “good” homes and have “good” educations and got “good treatment,” the sense of shame and despair seems harder to kick. It’s not enough to just put a roof over your head and live a pretty decent life. You’re always thinking of what you were supposed to be. But just like people who deal with high parental expectations who never deal with addiction – Dr. Dean Ornish is a great example – the feeling that one is a catastrophic failure is part of many a human’s condition. I understand how Janet is feeling. I too have a son that we must love from a distance hoping for a call that he is once again detoxing. It is a journey where we have learned so much and yet so little. If it was that easy to just suddenly quit I think he would have. He has been in a 3 month day program and 2 residential programs and has tried at least 10 times to detox. Each time we are over joyed by his progress only to watch him relapse. He does not like the person he has become. He is now in trouble with the courts for not showing up and is living on the streets of east Vancouver. Luckily there are many resources available for him to access because financially we just can’t do it anymore. He was a wonderful father with a good job who used OxyContin for hockey injuries and he has lost it all. Marc, it is encouraging to hear your stories of friends who just Naturally quit. I remain hopeful. great map for the future! She’s so good with words! miss one group it’s the third degree… like your “scamming”.